I was comparing notes with a client the other day about the debilitating effects of “senioritis.” That’s the deadly combination of apathy, arrogance and inertia that turns normally conscientious college-bound teens like ours into highly emotional and lethargic couch potatoes. And we were both deep into it. Both of our kids were accepted into their first choice colleges this year—highly selective, extremely pricey East Coast academic institutions. Now we’re wondering if we’ll have the stomach to scribble our names at the bottom of the kids’ first tuition checks after they’ve spent most of the spring “mailing it in” at school and at home. Eighteen year olds will snap out of it as soon as September rolls around. For others, the timeline isn’t so clear, but now is not the time to throw in the towel or cash in your chips. We all go through slumps from time to time. Whether you’re an athlete an entertainer, an entrepreneur or a professional service provider, we all go through periods in which we think we’re doing things as well as always, but we just can’t get the hits to fall, the puts to sink, the critics to reward us or the deals to close. The onset of summer is one of the prime times for slumps as you’re caught between mounting office deadlines and family pressure to plan your vacation. The best thing to do is keep believing in yourself, trust your process and maybe take some inspiration from the sports world. 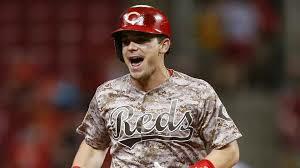 In the midst of an 0-for-19 slump, on a day he wasn’t even supposed to be in the starting lineup, Cincinnati Reds outfielder, Scooter Gennett became become only the 17th player in Major League Baseball history to hit four home runs in a game—one of the few non-Hall of Famers to accomplish the feat. The modestly built 5-foot-10 outfielder (who ironically wears uniform #4) had never hit more than 4 homers in a month….let alone in one game. In fact, Gennett entered Tuesday’s game with only 38 “dingers” in his previous 1,637 Major League at bats, which means he hit almost 10 percent of his career total Tuesday night in the space of three hours. Still not impressed? Consider that two months ago Gennett was jobless when the Milwaukee Brewers released him, only to have his hometown team (Cincinnati) pick him up on a whim. And just four days before Tuesday’s historic game, Atlanta Braves second baseman Brandon Phillips, who was traded by the Reds, ripped the Reds and Gennett to the heavens for giving away his old No. 4 so soon after his departure. 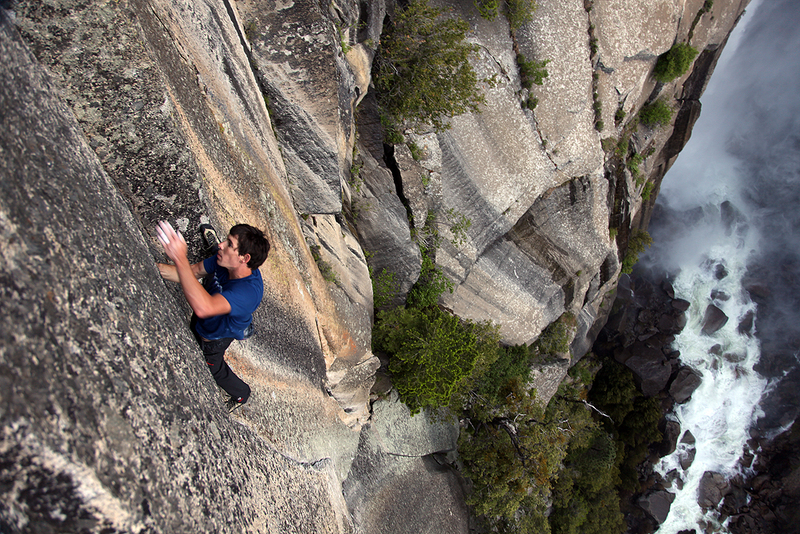 You may not know the name, Alex Honnold, but you have probably visited California’s Yosemite Park. You have probably gazed in awe at El Capitan, Yosemite’s iconic 3,000 foot high sheer granite wall that’s more than TWICE the height of the 108-story Willis Tower (formerly Sears Tower) in Chicago. On Saturday, Honnold took only four hours to become the first climber ever to “free-solo” his way up one of El Cap’s most difficult routes—an ascent that takes most climbers four DAYS to complete. If you’re not familiar with free-soloing, that means climbing alone, without ropes, gear, support crew or safety nets. Honnold, an elite climber from Sacramento, had been relatively quiet in recent years while trying to decide what his next breakthrough challenge would be—and when. As my other son’s baseball coach told him the other day during the midst of his own hitting slump: “Just focus on the mechanics and keep grinding away every day, and the hits will come.” Next game: two hits and a walk in three trips to the plate.